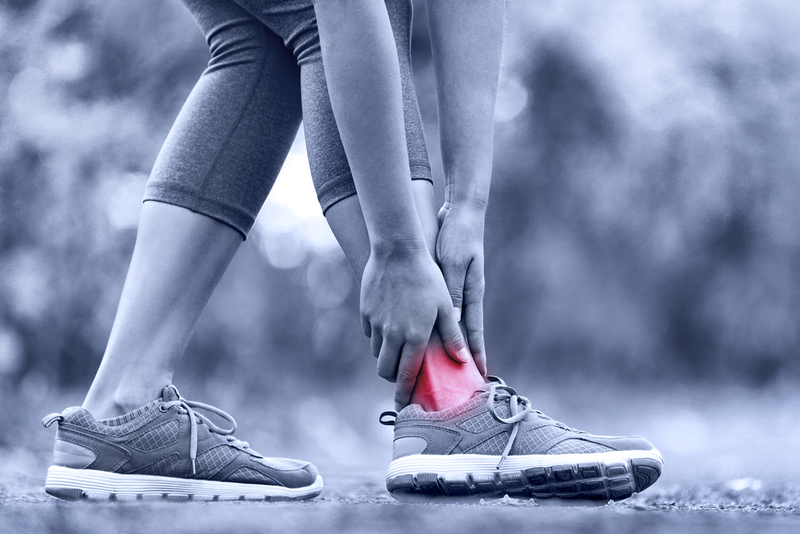 Strain or Sprain: What, Why, and How to Tell Them Apart! It's easy to confuse a sprain with a strain - especially because the terms sound similar - but they are two distinct injury types. So how do you tell the difference? Sprain vs. Strain: Location Matters! 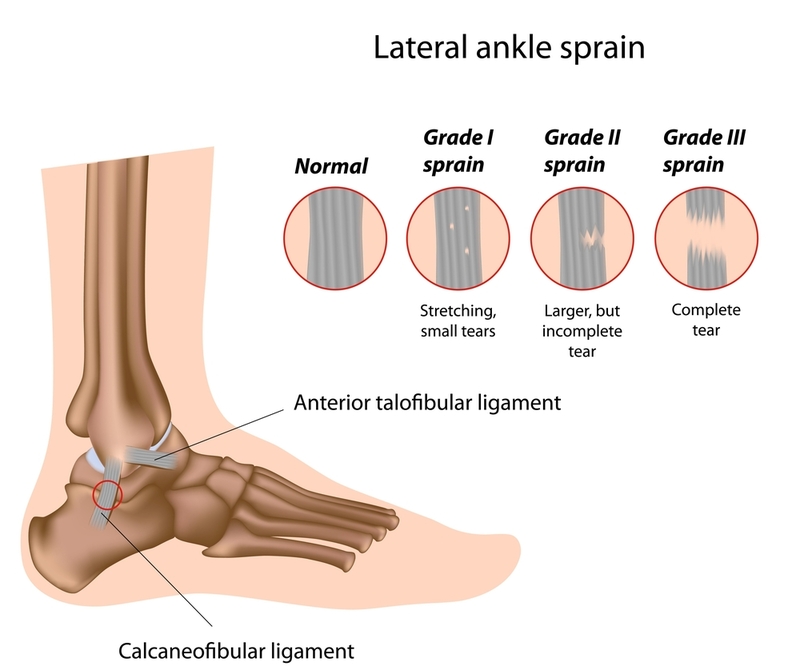 When you have a sprain, you've torn or overstretched a ligament, which is a tissue band that connects your bones and stabilized joints. If you overstretch a tendon or muscle, you have a strain. One way to tell if it's a strain or sprain is by looking at the location because these injuries tend to affect different parts of the body. According to the Sports Injury Clinic, the most common sprains involve your ankles, elbows, hands and shoulders. Sprains are graded (pictured below) on a scale of one to three according to their severity. Some involve a minor ligament stretching, while others are a complete tear, also known as a "full rupture." Grade 1 means ligament stretching, possibly with a minor tear; this is the mildest class of sprain. With a Grade 2 sprain, up to 90 percent of the ligament fibers are torn. Grade 3 is the most severe and is a complete tear, or "full rupture", of a ligament. Strains, says the National Institute of Arthritis and Musculoskeletal and Skin Disease, are often caused by overworking the muscles, heavy lifting or repetitive movement. These tend to show up in your back and hamstrings, although some sports are known to cause hand and elbow strains. 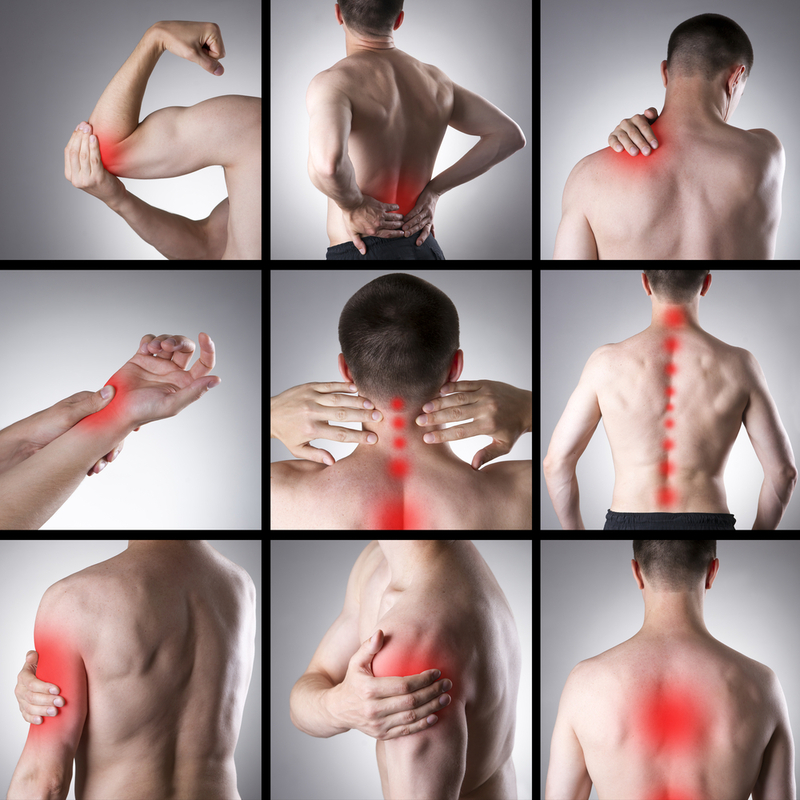 A "sudden" strain is one that is usually brought on by an activity or an accident, while a chronic strain comes from moving your tendons or muscles the same way repeatedly - known as repetitive strain injury, such as from typing at a computer for prolonged periods repeatedly over many years. What Makes you More Prone? 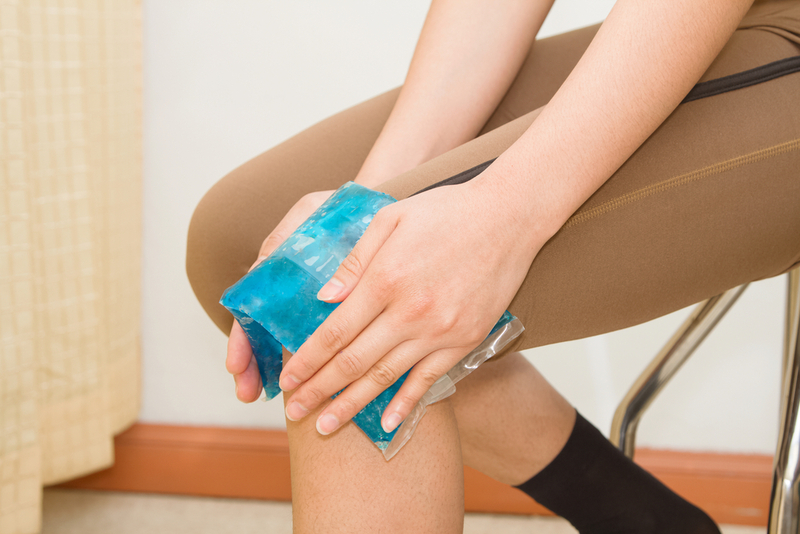 There are some factors that make it more likely you'll experience a sprain or a strain. Poor physical condition, for example, can mean weak muscles, and weakened muscles are more vulnerable to injury. If you're tired, so are your muscles, so they're less likely to give your joints the support they need. Fatigue also makes it more likely than you'll overextend a muscle or stress a joint. Not warming up enough before getting physical, poor shoes, and uneven or slippery surfaces can all make these two injuries more likely. There is some overlap among strain and sprain symptoms. Both injuries can cause pain and swelling. A sprain may show bruising, and you might not be able to move the affected joint well, while a strain can cause spasms or weakness of the affected muscle, cramping and trouble moving the muscle. To keep swelling and bleeding down and stop further damage, you should rest your sprained body part and use compression, elevation and cold therapy. Depending on how you progress, you may need additional therapy: if you think your sprain is more along Grade 2 or 3 than Grade 1, you should see a doctor. This is because you may need massage therapy, an ultrasound, special exercises and other tests and treatments for your injury to heal properly. A sprain that doesn't heal correctly can cause trouble down the road. For example, Foot Health Facts notes that repeated ankle sprains that don't heal right can lead to a condition known as chronic ankle instability. People who have this condition may experience pain, a feeling the ankle is weak or loose, and experience the outer side of the ankle giving out regularly. As with sprains, strains call for resting the injury area, compression, elevation and cold therapy. If your strain is severe or chronic, speak to your doctor - you might need special exercises for the injured area or physical therapy to heal properly. In some severe cases, surgery may be needed to repair the damage, so the sooner you seek treatment, the better. Although it can be tempting to ignore sprains and strains because they seem minor, there are some situations that call for immediate medical attention. If you can't walk at least five steps without significant pain, are completely unable to move an affected joint, or are numb in the injured area, see a doctor as soon as possible. Your family doctor may ask you a lot of questions about the injury so he or she can assess what is happening and whether you need to see a sports medicine doctor or an orthopedic surgeon. Before you go to your appointment, help your doctor evaluate you better by making a list of all your symptoms and the questions you want to ask. He or she will likely ask you how you were moving when the injury happened, whether you heard a "snap" or "pop," when it happened, what you've done for treatment at home, and whether this type of injury has happened to you before. Don’t play sports or exercise when you’re in pain - you could be turning a minor injury into something worse. Keep your weight at a healthy level, as extra pounds can stress joints and muscles. Start a regular exercise routine to help keep weight off and your body moving. Avoid falls by taking preventative measures, such as putting rock salt on your icy steps. Always wear shoes that fit properly, and replace shoes if the heel is worn down on one side. 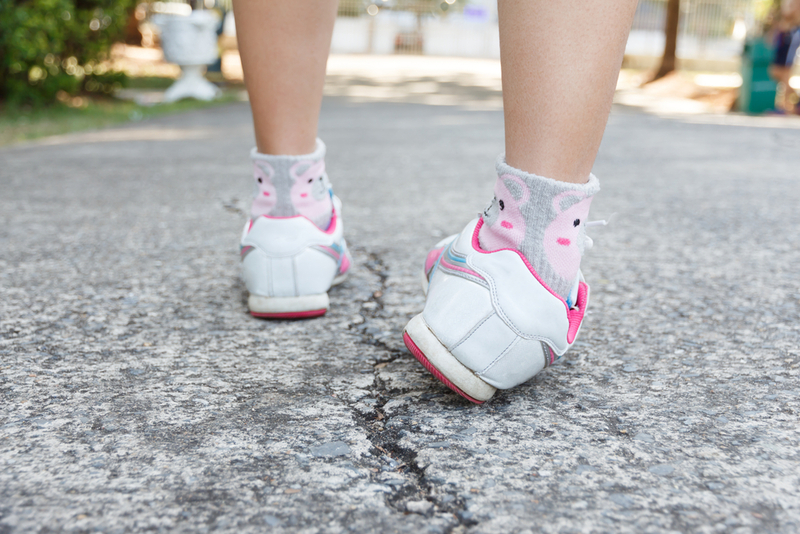 Run only on flat surfaces - uneven surfaces can lead to unevenly distributed stress on your body and falls. 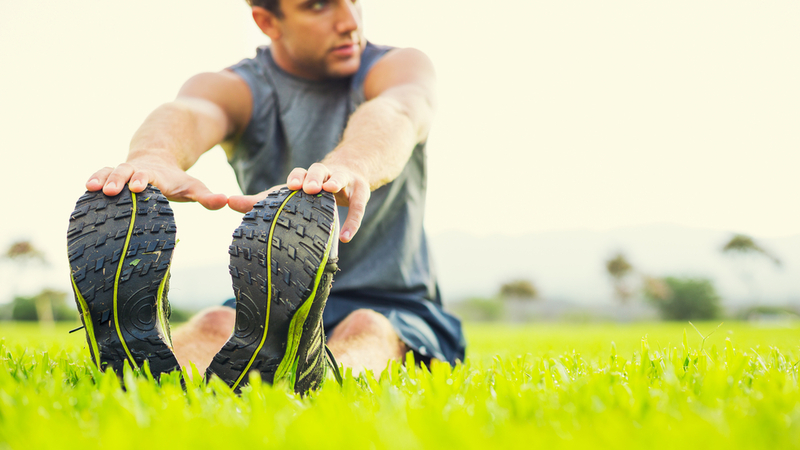 Stretch and warm up before playing a sport or exercising so your body is ready to go. Wear protective gear when you’re playing a sport to help cut down your injury chances. Comment on Strain or Sprain: What, Why, and How to Tell Them Apart!